3. Enter your PUBG ID on the right side in the widget. This MUST be your actual ID in-game, otherwise you will be unable to receive any points for your kills. 4. Enter your roster via "Manage roster"
The 128 check-in spots will be open on a first-come, first-served basis starting from the check-in time 30 minutes before start of the tournament. Teams - 4 players per team, one sub is allowed. Teams are allowed to play one match per round with 3 players, in case of technical problems. Please join the ESL PUBG Discord channel to get all the information you need for the tournament. Lobby name and Password will be published in your match lobby here on the qualifier pages, accessible through the tournament widget on the right side when matches are created. Each team member should take end-of-game screenshots of their results in case of any disputes and/or technical difficulties in the lobbies. Failure to provide said screenshots when requested can lead to disciplinary action and/or loss of points. Looking for your opponents or need help? 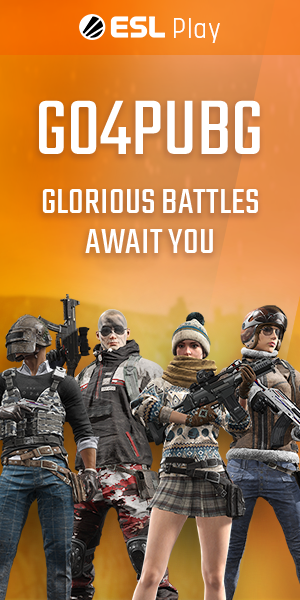 During the cup join ESL PUBG on Discord, or open a support ticket. Still need help? Your placement marked wrong in the results? Please contact support. We will also be available on Discord for any smaller issues or questions you might have.